February 8, 2017 – DJI, the world leader in unmanned aerial technology, Wednesday introduced an array of new accessories for the foldable and compact Mavic Pro drone, making the flight experience even more safe, convenient and fun. Two new products are designed to shield the Mavic Pro's propellers, providing an extra measure of safety and protection during flight. The Propeller Guard places a barrier just around the propellers while the Propeller Cage mounts on the Mavic Pro's arms and completely encircles a set of slightly smaller 7728 Quick-Release Folding Propellers. 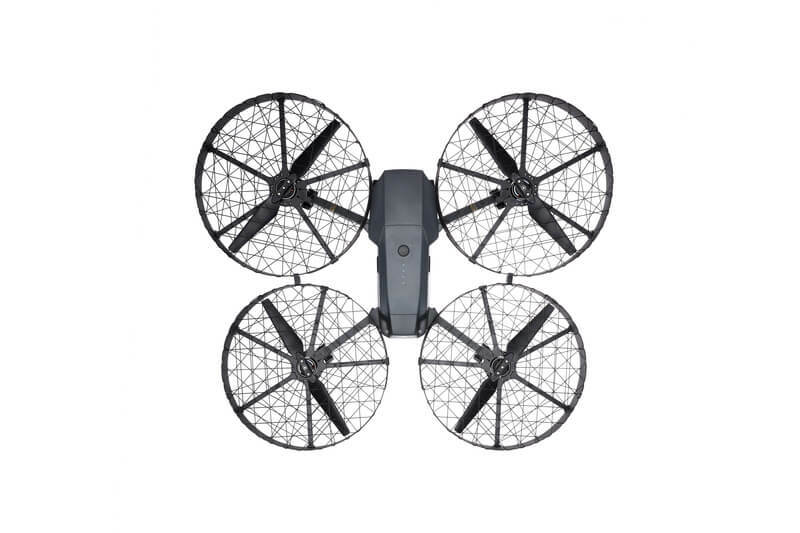 The Propeller Cage is ideal for novice operators or those learning to master their flying skills. 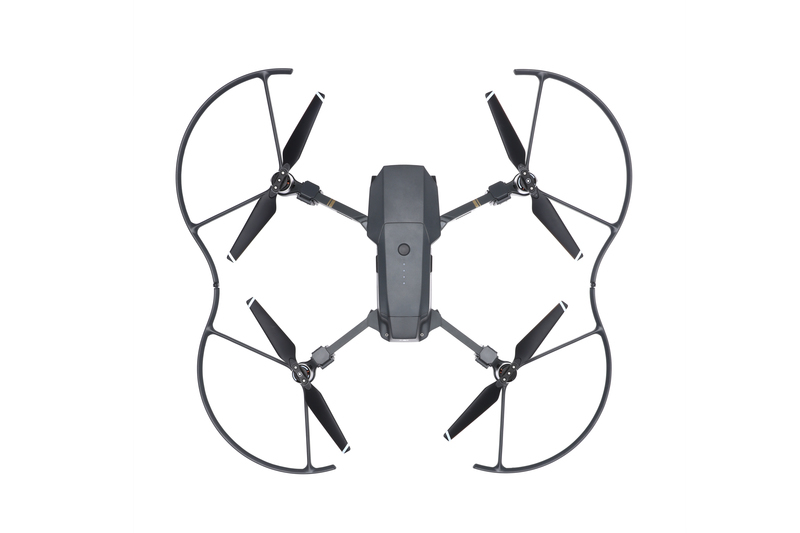 With the additional weight of the Propeller Cage, the Mavic Pro has a maximum flight time of up to 12 minutes and it is recommended to be flown in Tripod mode for better precision and stick control. Both solutions help to protect the aircraft's propellers especially in tight spaces and other locations where the Mavic Pro may fly in close proximity of objects. The new Advanced Battery Charging Hub for Mavic Pro is a smart, quick and reliable way to charge up to four Intelligent Flight Batteries in a single session. The Intelligent Flight Batteries will be charged in sequence according to their power levels, from high to low. 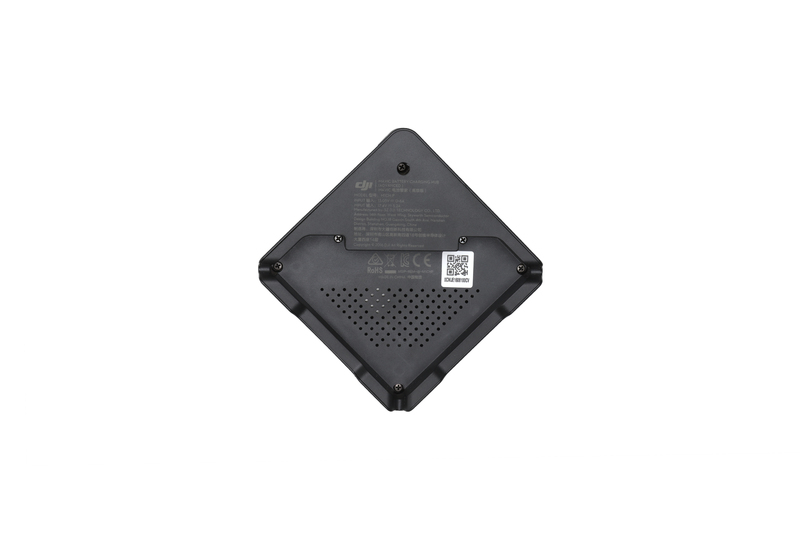 It is also compatible with the Phantom 4 series 100W charger that can further reduce the charging time. A new Aircraft Sleeve provides Mavic Pro owners additional peace of mind when carrying and storing their drone. The sleeve is custom-designed to nestle the Mavic Pro in its soft interior padding, helping to minimize the risk of external scratches and other damage, as well as keeping it free of dust during storage. 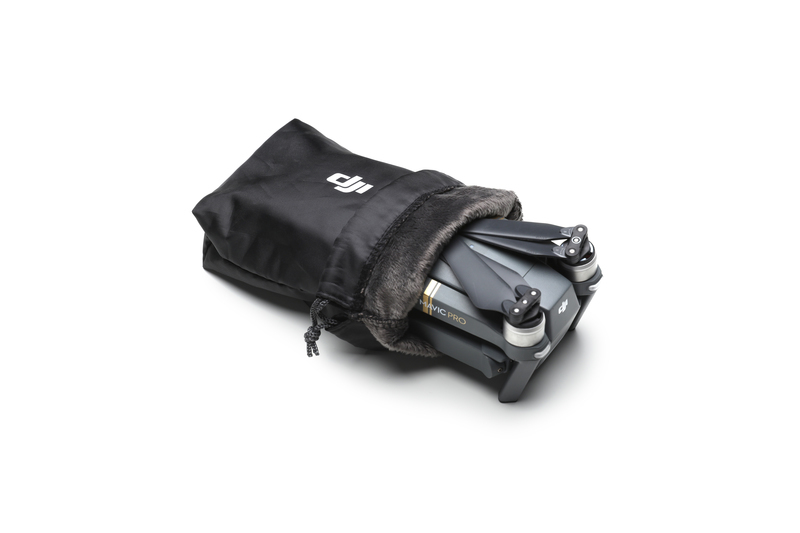 Other accessories designed for outdoor aerial enthusiasts include a new remote controller monitor hood, giving operators a better view of what they are shooting under direct sunlight, and ND Filters which can be easily attached to the camera gimbal, allowing more control of the camera's aperture, exposure time and sensor sensitivity settings. Full details on all Mavic Pro accessories are available at https://store.dji.com/category/mavic-accessories.